It’s nowhere near a done deal, but at least The Pas has a ray of hope that its pulp and paper mill won’t close. Tolko Industries confirmed on Monday night that it has received a signed letter of intent from a potential buyer for its pulp and paper mill that it announced last month it was closing on Dec. 2. Jim Baskerville, Tolko’s vice-president, emphasized that the letter of intent is not a guarantee of a sale, but “it’s an important first step.” “These letters are non-binding, but they lay out the framework for a deal. They come with clearly spelled out conditions. We know what the conditions are and we will work with government, the provincial and municipal, and the union.” Baskerville said he would not divulge the possible purchasing company’s name, but he added it wasn’t alone. Hinton-area pulp mill failed to report chemical release immediately, province says—A pulp mill near Hinton, Alta., is facing environmental charges after failing to report the leak of a chemical into the air two years ago, according to the province. West Fraser Mills Ltd. is charged with six counts under the Environmental Protection and Enhancement Act and one count under the Dangerous Goods Transportation and Handling Act. The mayor of Merritt will be busy at this week’s Union of B.C. Municipalities convention, trying to convince senior government politicians to save a major employer in the Nicola Valley city. Mayor Neil Menard hopes to meet with Forests Minister Steve Thomson and Jobs Minister Shirley Bond to discuss the impending closure of the Tolko sawmill in Merritt. A reduction in the amount of timber permitted for harvest in the Merritt region is blamed for the closure, slated for mid-December. Menard says he intends to challenge the forests minister to explain why timber allocations were scaled back. HINTON, Alta. – The Alberta government has charged a pulp mill with several offences under the Environmental Protection Act. West Fraser Mills in Hinton, Alta., faces a total of six charges after the release of a substance in September 2014 that allegedly wasn’t immediately reported to Alberta Environment. The company also faces one charge of failing to follow safety rules while unloading a chemical from a truck. 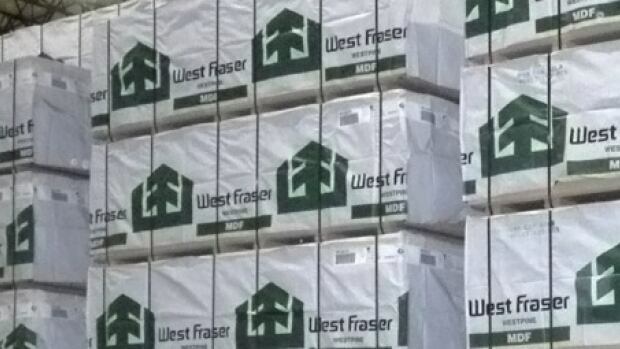 James Gorman, vice president of external and government relations at West Fraser, said in a statement that the company did notify authorities of an incident after a material was delivered to the wrong location at the mill site. 203 workers at the Tolko sawmill in Merrit got some bad news on September 22, 2016. The company let them know – by mid December – the mill is shutting down. Some people have worked there for decades. A shortage of timber supply is the reason Tolko says it’s closing its sawmill in Merritt. We have done a number of stories including interviews with the union, local residents and B.C.’s forest minister. The Confederated Colville Tribes are bracing for a hotter, drier future on their sprawling Eastern Washington reservation, including an increase in large wildfires. As part of the preparation, the tribe plans to reopen a sawmill in Omak next year that can process ponderosa pine. “If you look at it from a forest management standpoint, it makes a lot of sense to have a pine sawmill,” said Cody Desautel, the tribe’s natural resources director. Ponderosa pines represent about 35 percent of the tribe’s commercial timber, and the percentage could grow as foresters plant more of the hardy, drought- and fire-resistant ponderosas. Valley Congressman Jim Costa is asking US Ag Secretary Tom Vilsack to consider lifting a ban on log exports from Forest Service lands in the western states. 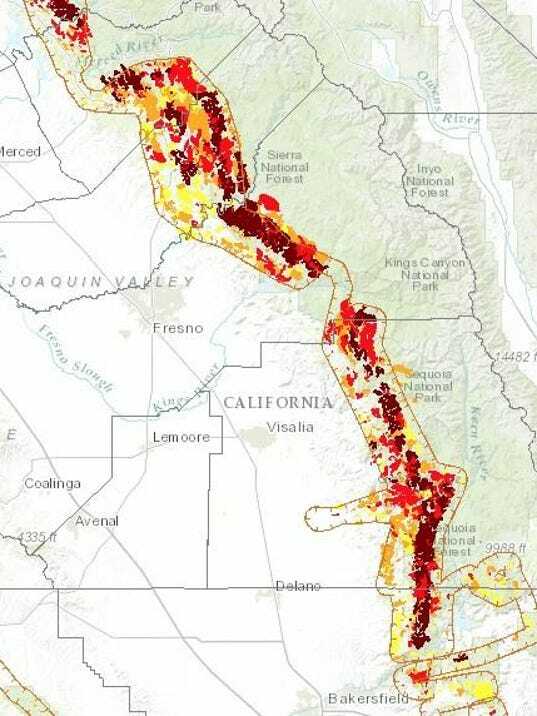 The idea has been promoted by Tulare County Supervisor Steve Worthley as perhaps the only way to clear the massive and growing backlog of millions of dead trees in the Sierra including Tulare County. Costa, a Democrat from Fresno, says he will work to get support for the idea from other members of the Valley congressional delegation. Worthley says he has spoken to Kevin McCarthy’s office, the GOP congressman from Bakersfield, about the possibility of a waiver of the current law due to the emergency conditions and that they were supportive as well. The fate of a small northern California town’s drinking water is in the hands of the Oregon-based company, Roseburg Forest Products. The city of Weed waters half its population from the Beaughan Springs source that flows through RFP’s property in town. 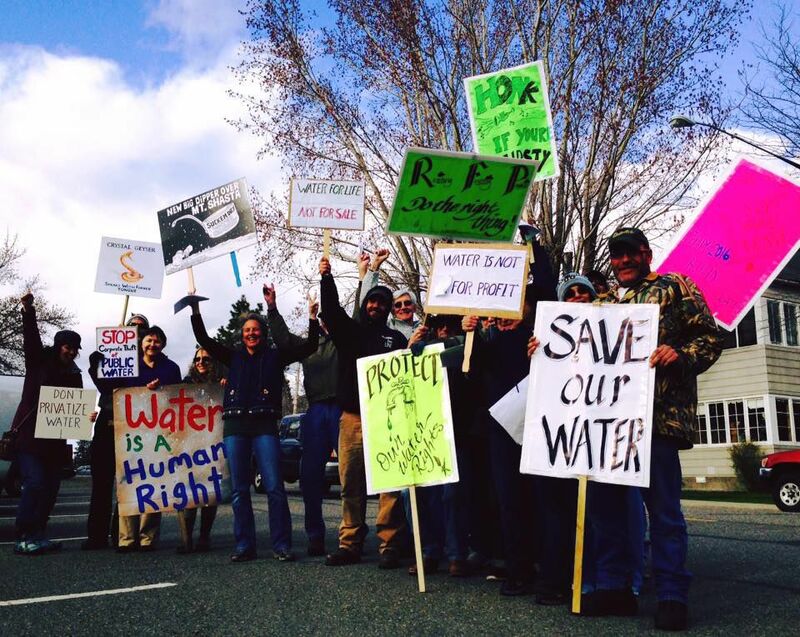 The city had a lease to access the company’s rights to the water for the last 50 years. That lease expired earlier this year. “Despite five years of negotiations in good faith with Roseburg Forest Products, the city of Weed has not been able to reach agreement on contract renewal or extension to continue to receive water for the residents of the city,” a Feb. 19 city press release reads. “The health and safety of residents and property within the city are at risk,” it adds later. As the University of B.C.’s Brock Commons — the largest mass timber structure in the world to date standing 18 storeys and 54 metres — rises on campus, it is casting a construction shadow that extends far north. “The building is catching the interest of architects and engineers because it is an unusual way to build a tall building and also because it went up quickly,” said heavy timber specialist Dave Gardner for Structurlam, the Penticton manufacturer supplying the mass timbers (cross laminated timber known as CLT and glulam beams) used in the Brock Commons residential building. There is a growing awareness of what that can mean to northern construction, especially in a climate with a compressed construction window. Why not build new hospital out of wood? PEEL back some of the walls erected from renovations or additions to Mills Memorial Hospital over the years you might find a bit of a surprise – metal studs used for framing. And this in a region where logging and milling put food on the table. But changes now in building codes and manufacturing advances make large wooden structures practical. So why not a new Mills made out of wood? It would demonstrate the use of one of our province’s natural resources and, at least symbolically pay homage to the forests which surround us and drive our economy. WHITEFISH – It’s the first of its kind after being built using a new building material manufactured right here in Montana. The elevator shaft is made of a product the company’s president says he is the pioneer of bringing to the United States. 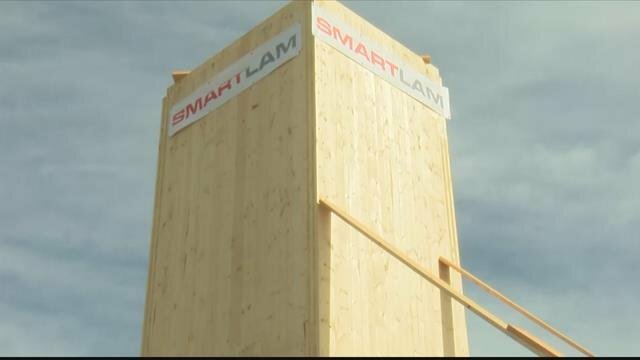 “It’s the first engineered new wood product in about 35 years in the US,” said SmartLam President and General Manager Casey Malmquist. It’s called cross-laminated timber and his company based out of Columbia Falls is the first and only producer of it in the U.S. The elevator shaft is 45-feet tall and the very first one in the entire country to manufactured out of cross laminated timbers. Last week, on National Tree Day (Sept. 21), NDP MP Irene Mathyssen (London-Fanshawe) announced her Private Members’ Motion proposing the development of a federal leadership strategy to preserve, protect and promote urban forests for their life-giving value to Canadian communities. Given that much of our national identity is tied to the natural environment, I encourage all Canadians to read this motion and show your support in any way you can — tell a friend, call your local MP, post something on Facebook. After all, we all know the old “if a tree falls in a forest” saying – this issue is far too important to let fall on deaf ears. Two rare, old-growth Acadian forests near Tusket and Pugwash will be spared the saw. The Natural Conservancy of Canada has announced that the two parcels, covering a total of 316 hectares, will be cared for and conserved. The TD Bank Group invested more than $5 million in a program to protect 16,432 hectares of urban green space, critical forest habitat and wildlife corridors across Canada to mark National Forest Week in conjunction with the conservancy. The two projects announced in Nova Scotia, out of the 25 projects nationally, will protect 150 hectares of old-growth forest near Long Tusket Lake, Yarmouth County and 166 hectares along the Northumberland Strait near Pugwash. 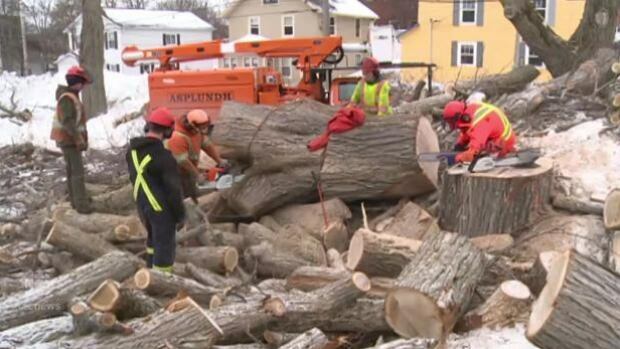 Charlottetown plans to cut down 90 more elm trees this fall as it continues to grapple with the spread of Dutch elm disease, and has issued a request for proposals to remove the trees. Last year the city removed close to 350 diseased elm trees, at a cost of about half a million dollars, in the hopes that would reduce the spread of the fungus. “DED [Dutch elm disease] is an incurable and, for the most part, deadly fungal disease of elm trees,” city officials explained via a written news release. Fungal spores are often spread from diseased trees to healthy elms by elm bark beetles. The fungus clogs the vessels that transport water and nutrients up and down the tree, which usually kills the tree in three to five years. CLOVERDALE, Calif. – A fast-moving wildfire prompted the evacuations of 300 homes in the Santa Cruz Mountains, while fire crews continued to battle a blaze burning close to a massive geothermal power producing facility in Sonoma County, officials said Monday. The blaze that started Monday on the southern edge of Santa Clara County quickly spread to 500 acres, threatening radio and television antennas, said California Department of Forestry and Fire Protection spokeswoman Stephanie Stuehler. A blaze that erupted amid hot, dry conditions and gusty winds in Sonoma County north of San Francisco forced the temporary evacuation of one of its 14 geothermal plants. Tim Ward is slowly healing from the Oso landslide that on March 22, 2014, killed his wife, Brandy, and four of the couple’s five German shorthaired pointers, and left him with a crushed pelvis, broken hip and other injuries. He starts his mornings with a walk in the park with his surviving dog, Blue, who lost a leg in the slide. Now retired from his job with Boeing and on medical disability, he often heads over to an Arlington community center, where he volunteers to help the homeless and those struggling with drugs. 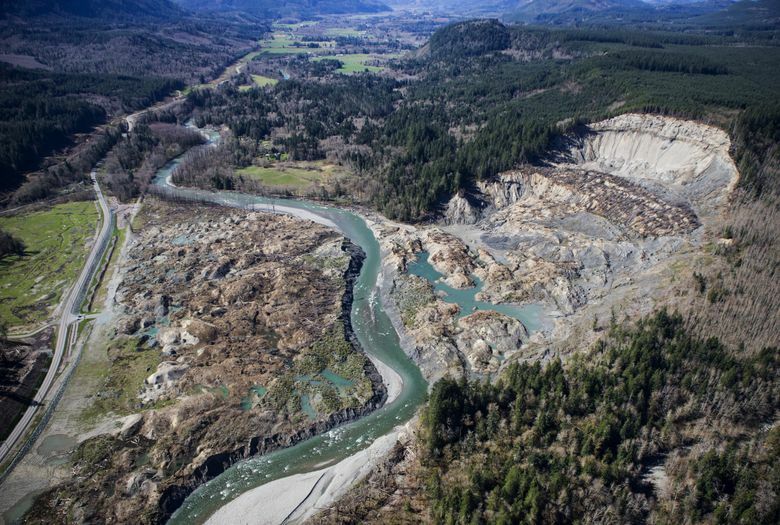 This week, jury selection is expected to begin in the civil trial over whether the state and a Skagit County-based timber company bear any liability for the landslide that killed 43 people, injured others and destroyed nearly 50 structures in the Steelhead Haven neighborhood. Little evidence remains today of the fire that, 114 years ago, tore through Southwest Washington in what’s now known as the Yacolt Burn State Forest. Trees cover the landscape once again. Hikers, mountain bikers and horse riders traverse the forest. Hundreds of homes dot the area. Until recently, the Southwest Washington blaze was the largest fire in state history, and some wonder if a fire that devastating could happen here again. Since the Yacolt Burn, much about forest management and fire prevention has changed. Officials work to balance sometimes competing interests — preventing future wildfires, preserving wildlife habitat, generating revenue and creating spaces for outdoor recreation. BOISE, Idaho – The U.S. Forest Service will do another analysis after a federal judge halted a northern Idaho wildfire salvage logging project following a lawsuit by two environmental groups, officials say. The agency earlier this month gave notice that it plans to do a supplemental environmental impact statement for the project near the Selway and Middle Fork Clearwater rivers. A federal judge in May temporarily halted the project that aimed to harvest 34 million board feet of timber scorched by a 2014 wildfire after determining the Forest Service would likely lose the lawsuit because it failed to factor in how subsequent 2015 wildfires might have altered the project. After two years of tireless effort and thousands of volunteer hours invested by residents in the Applegate Valley, the Bureau of Land Management’s Medford district chose to implement Alternative 4 in the recent Decision Record for the Nedsbar timber sale. Alternative 4 is the preferred alternative of the timber industry and is highly controversial in the Applegate due to its likely impacts on the local ecology, quality of life and recreation economy. Medford BLM also rejected the Community Alternative, Alternative 5, a collaboratively developed alternative designed by Applegate residents that addresses the needs of the local community, ecology and economy. The agency claims to have “blended” Alternative 4 and Alternative 5; however, not a shred of the Community Alternative is actually included in the BLM’s Decision Record. Erin Bradetich always knew she wanted to be a forester. What she did not know was that she would be her father’s only son – in a manner of speaking, of course. “Yup, she’s the woodsy one,” Doug Bradetich says of his 26 year old daughter, the only female among 11 foresters employed by the Idaho Forest Group. Among the 11: her father, Doug, who has been working in forestry since he got out of college in 1981. Erin is the youngest of three Bradetich girls. Stacey, the oldest is Director of Finance for a San Francisco hotel company. Amy teaches fourth grade at Sandpoint’s Northside Elementary School and Erin buys state and private logs, mainly for IFG’s Laclede mill. 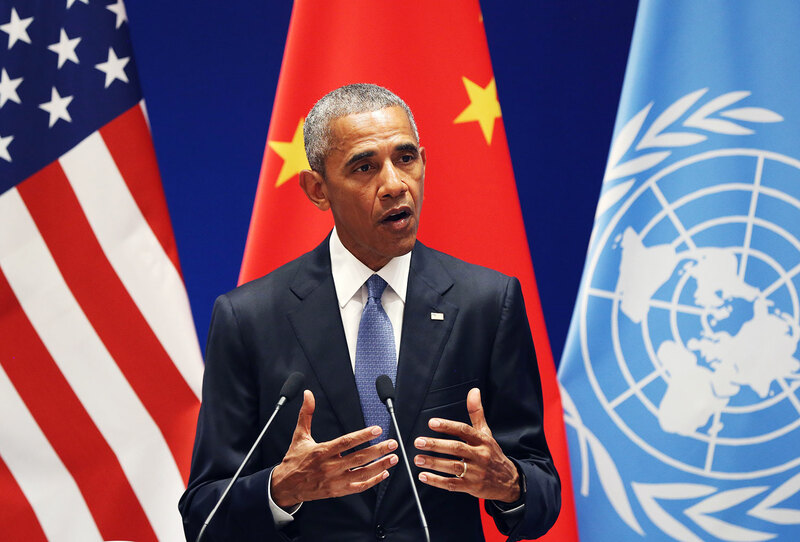 THE OBAMA ADMINISTRATION has been ambitious about solving the problem of climate change… By 2025, the US has committed to emitting 26 to 28 percent less greenhouse gas than it did in 2005. But the suite of regulations the nation has rolled out might not be enough to meet the cuts it has promised… Only by adding the last, most speculative group of policies, do the cuts maybe meet the 2025 goal. And that’s at the bleeding edge of the range of uncertainty… Uncertainty refers to the fact that many of the cuts proposed by these policies are impossible to conclusively measure. Each cut has its own sources for uncertainty. Looking at forest carbon sequestration? Better have a good measure of tree height and width in all the forests in the US, otherwise your biomass totals will be skewed. An ambitious plan by the city and a private developer to create a low-carbon power plant for the downtown peninsula has received a definitive rejection from the B.C. Utilities Commission, which said it couldn’t support the idea of requiring customers to buy power from a monopoly… Mr. Gillespie’s company is the new incarnation of a much older company called Central Heat, which has provided steam heat and power to about 200 buildings downtown for decades. Creative’s plan was to switch from natural gas as a source for that steam to some other low-carbon source, as it maintained and then expanded the system to new developments. It has been considering biofuel, otherwise known as wood waste. But so far, small-forest owners, even conservation-minded ones like Ms. Lonnquist, have not rushed to embrace market-based carbon storage. Many do not even know it exists, and those who do often find the complexities bewildering. Some owners believe, wrongly, that to enter the carbon markets they must forgo all income from logging. And some, reluctant to forfeit the ability to quickly turn their trees into cash, have balked at signing a contract to keep a forest standing for 15 to 125 years. Even more daunting, the expense of bringing a forest to the carbon market — a process that involves taking an inventory of the trees, assessing the forest’s carbon content, estimating future growth, and submitting to several levels of auditing — has been so high that it would eliminate any profit for most small landholders. 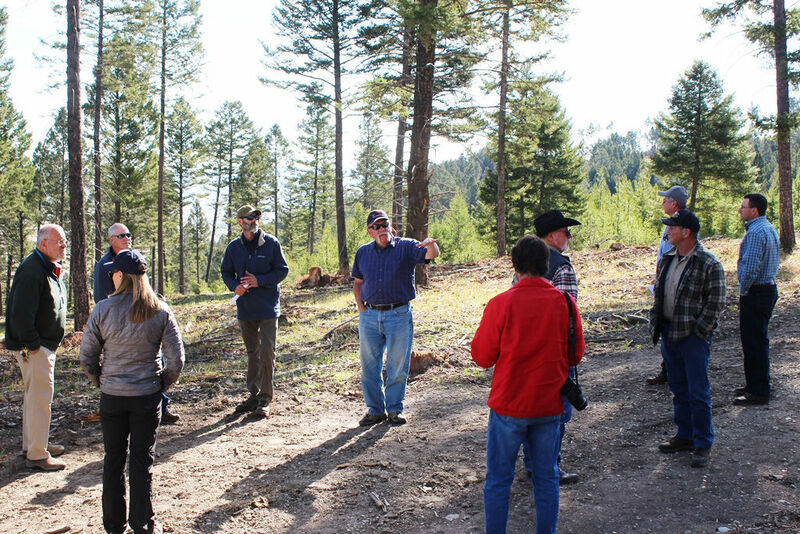 DEER LODGE — Hazardous fuel reduction, logs for jobs, stream restoration and improved habitat for fish, wildlife and cattle on the Montana State Prison ranch near Deer Lodge are the result of a Forests in Focus Initiative project. The after-effects of the catastrophic mountain pine beetle outbreak has resulted in a forest health crisis throughout Montana and the West, and the availability of timber continues to be challenge for Sun Mountain Lumber in Deer Lodge and other mills, leaders in the industry said. 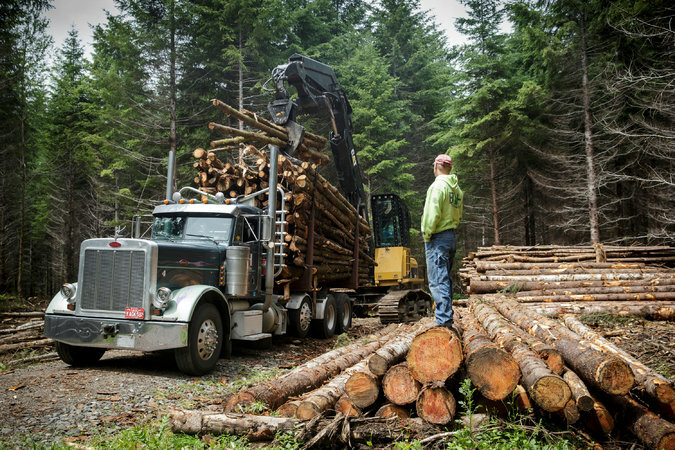 The $3 million, state-funded cost-share Forests in Focus Initiative, or FIFI, is designed to increase the rate of forest restoration and/or hazardous fuel reduction, put logs on trucks for jobs, and to improve watersheds and wildlife habitat on non-industrial private, state and tribal lands.